You can network, collaborate, and make friends through regular meetings, membership activities and interactive website. Published by Nature Publishing Group (NPG). Online hosting on nature.com, extensive press coverage and rapid publication. 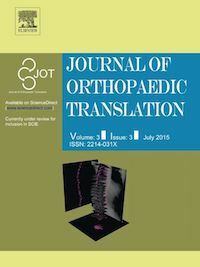 Journal of Orthopaedic Translation (JOT) aims to focus on the rapidly growing field of orthopaedic translational research.